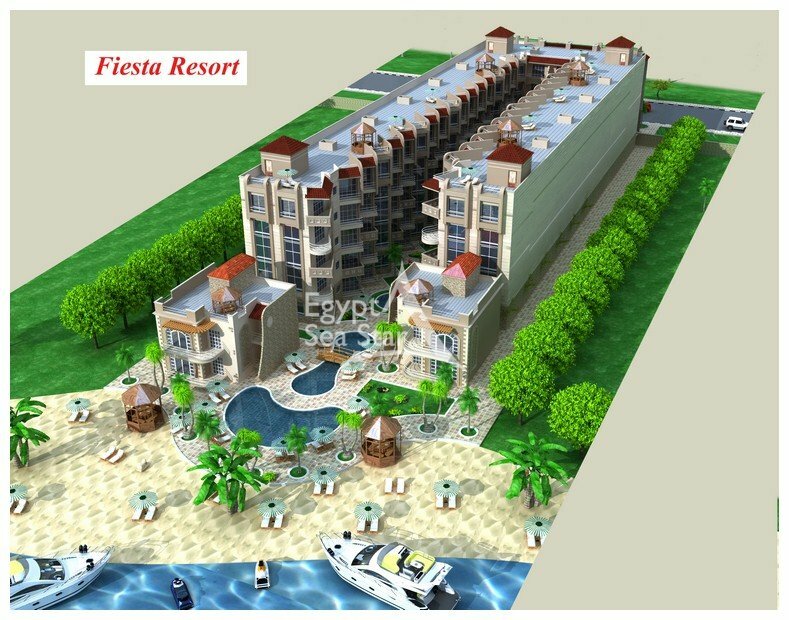 We are the owners of the Fiesta Resort and we guarantee you the fairness of the transaction, as well as a flexible approach to each buyer. 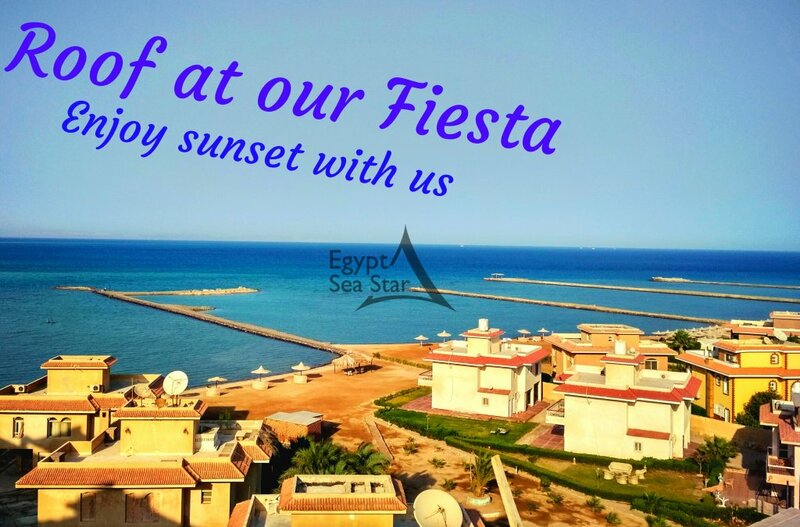 Do you have a dream to live near the sea, with a gorgeous view from the window, among tropical flowers and palm trees? You have earned this luxury! We will help to fulfil the dream. 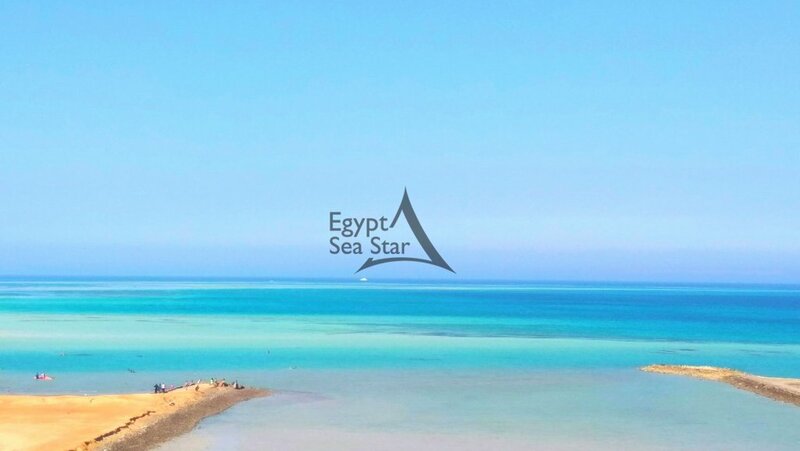 Tucked away on the shores of the Red Sea, an oasis of untouched nature and a breathtaking views. For a reasonable price you can buy a piece of this heavenly place! 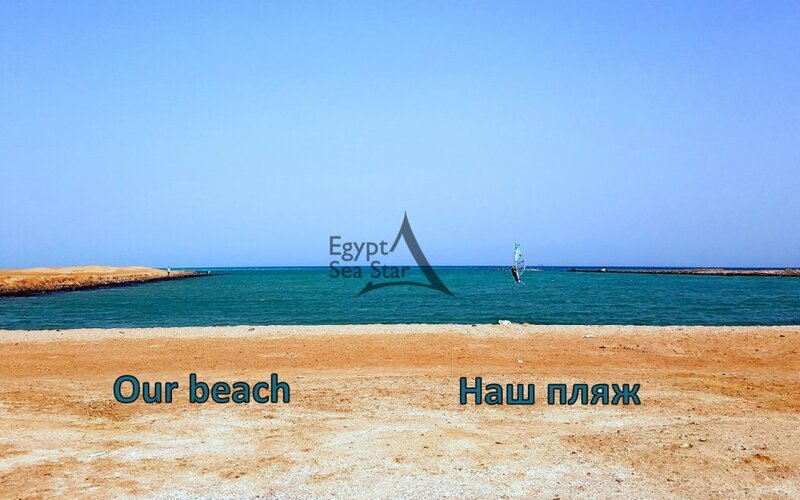 Having the status of one of the most environmentally friendly places in Hurghada. 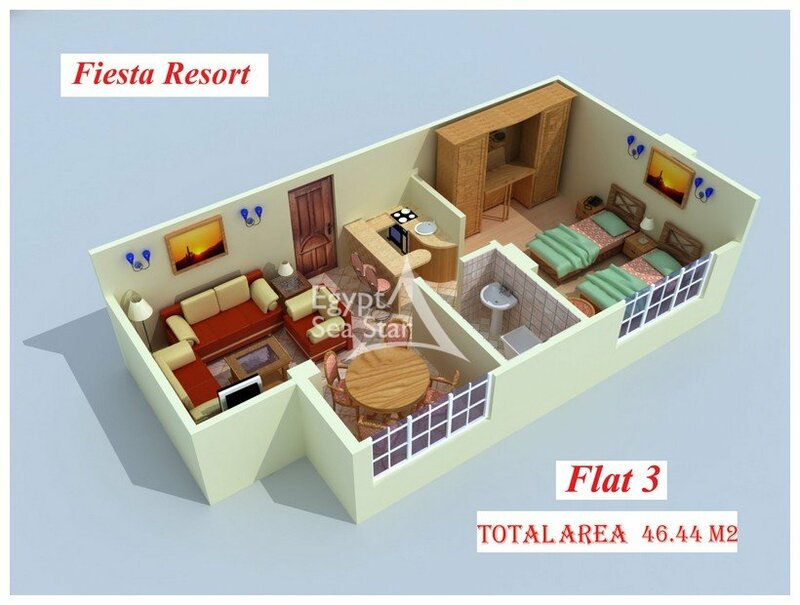 Complex FIESTA Resort is located on its own beach. 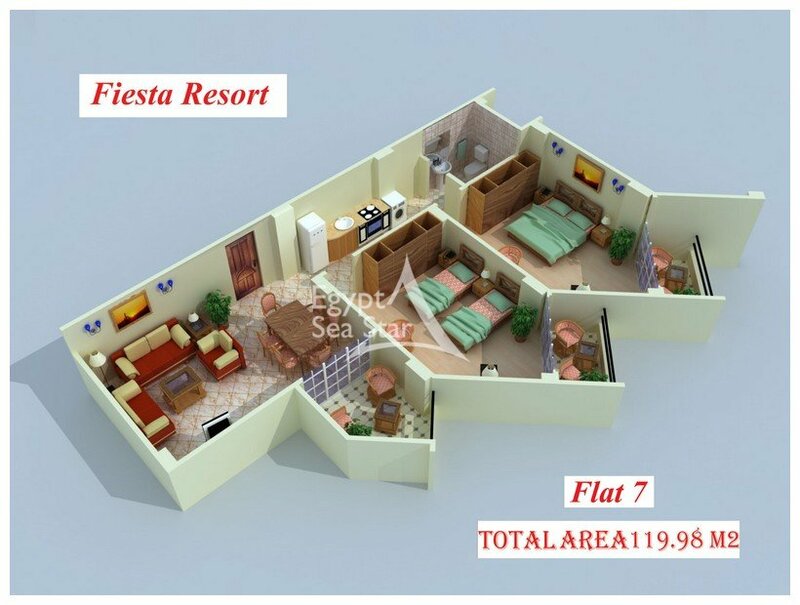 All the apartments are designed in such a way that all their views are of the sea. 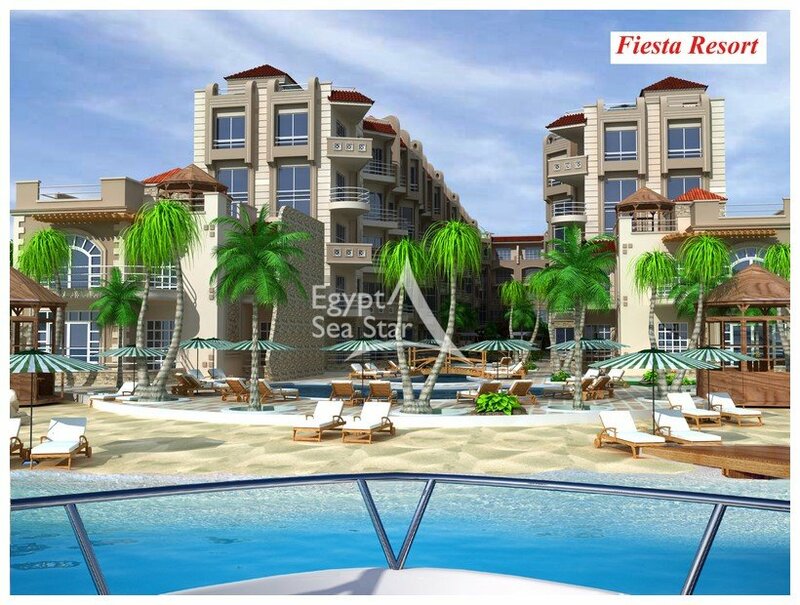 Residential complex FIESTA Resort is located in a new promising area of Al Ahyaa in the north of Hurghada. 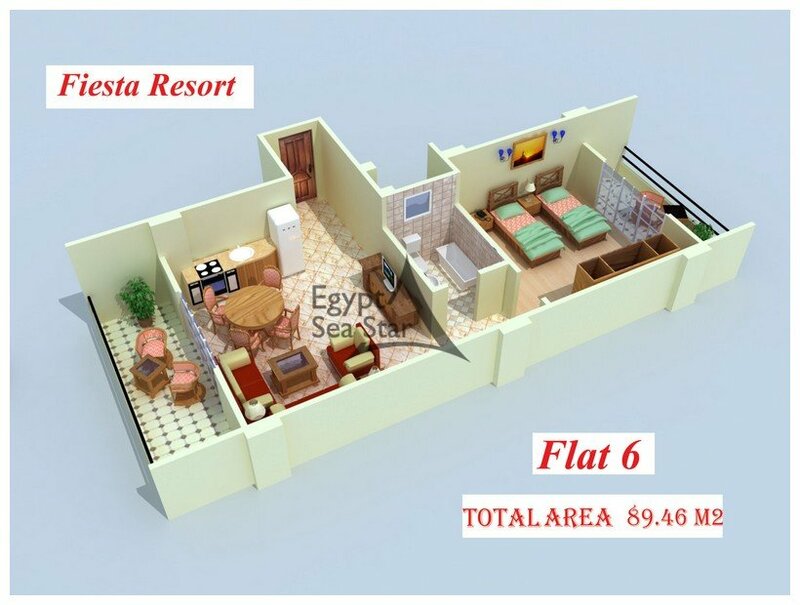 12 km from Hurghada Airport Concordance and 14 km from El Gouna, between the hotels "Palm Beach" and "Kalimera". 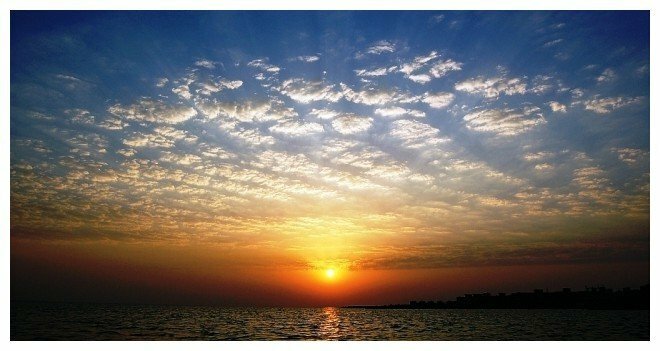 In the coming years of Al Aheya will be one of the most attractive places to live and to do business! 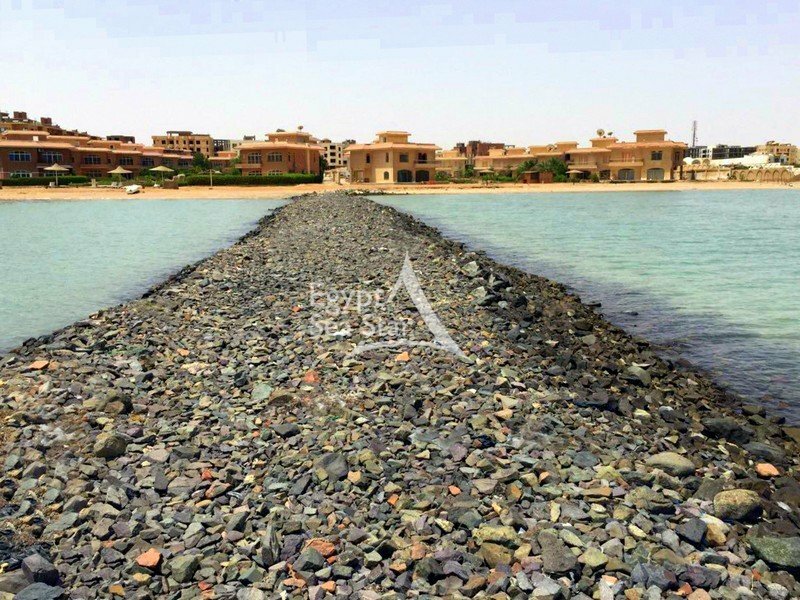 District actively completed construction of a new highway, opened a French International School, a new American school and built a new residential complex Mubarak 11, the entire area has a direct connection to the water line, central sewerage and central gas. 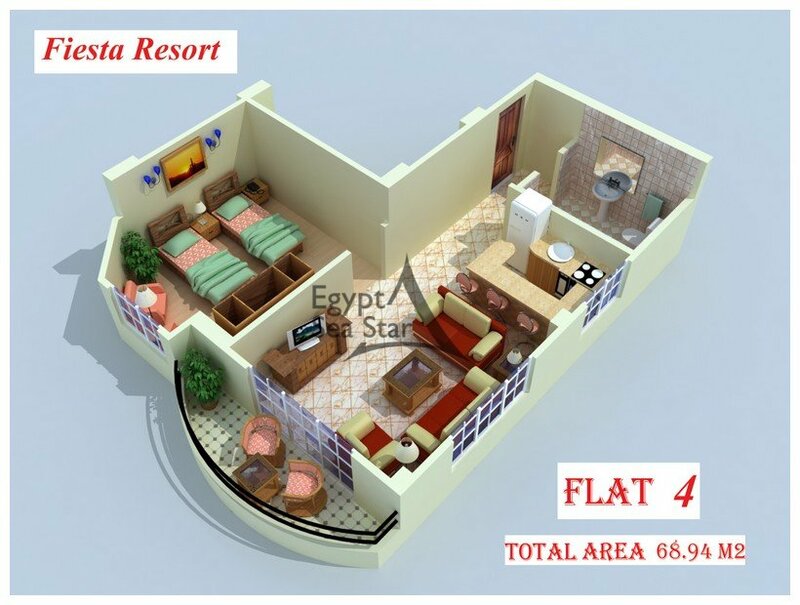 Convenient location of the area - between El Gouna and Hurghada, allowing you to easily and quickly come to either of these places! The area is very attractive for the fans of diving and kiting –with most of these sports clubs here in this area. The apartments are "turnkey" finish "Super Lux": floor-tile; granite tiles; walls latex; water supply and sewerage; electrical wiring; completed and furnished bathrooms and toilets; thermal insulation protection; integrated open kitchen equipped with a bar covered with marble floors; Apartments can be according to the customer fully furnished; air conditioning; furniture and household appliances surcharge. 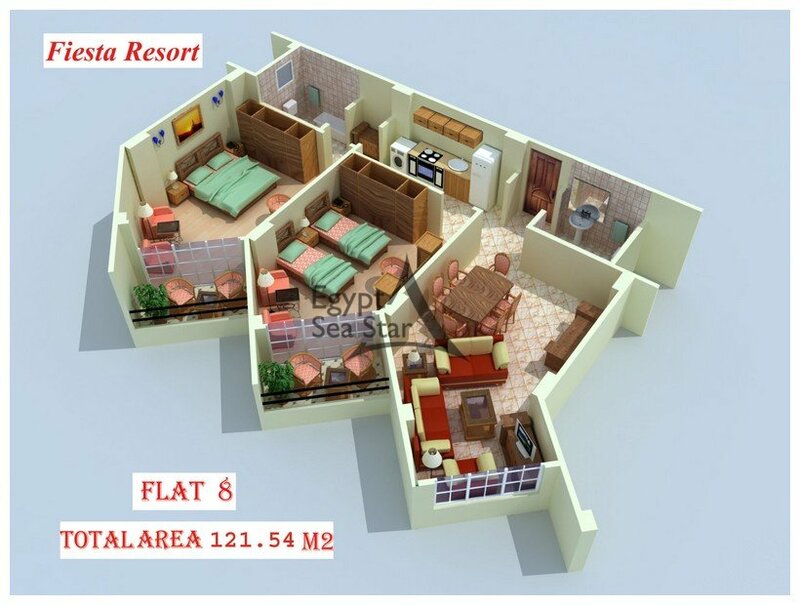 •Location - right by the sea! 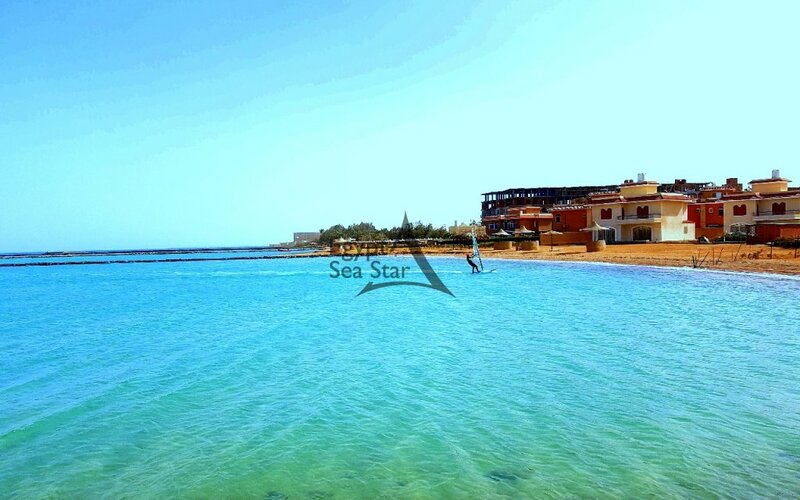 •Private beach with absolutely pure water as the reef front of the complex does not allow yachts and boats come close! 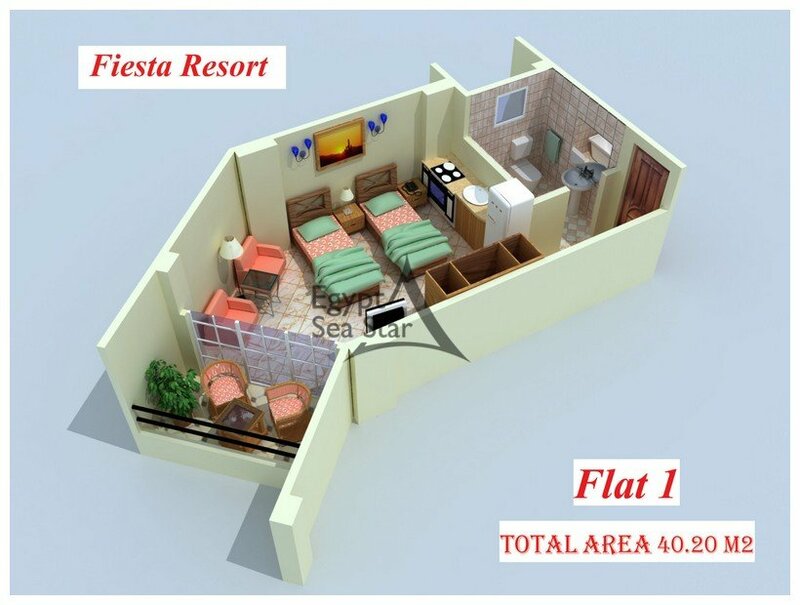 •The ground floor apartments have direct access to the beach! •All the apartments - with a sea view! 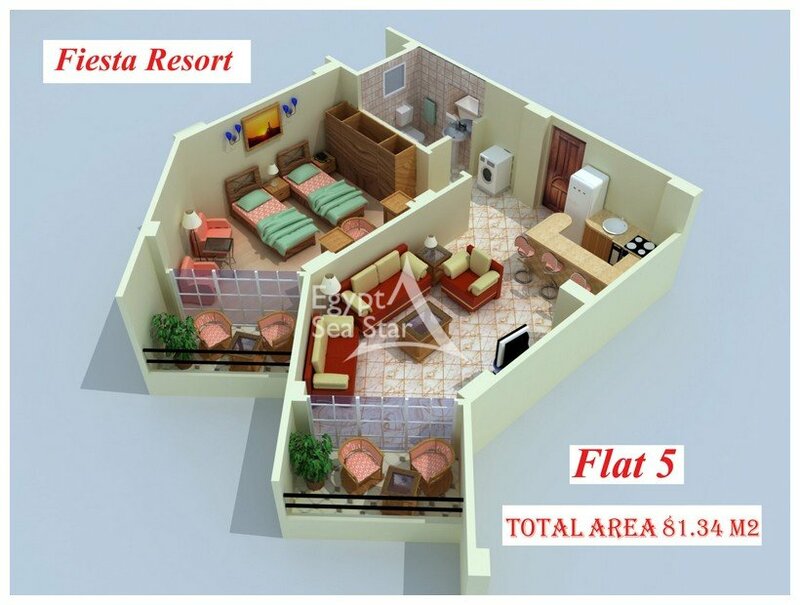 •Exceptional location with a unique sea view sunrise at the sea front of the complex! 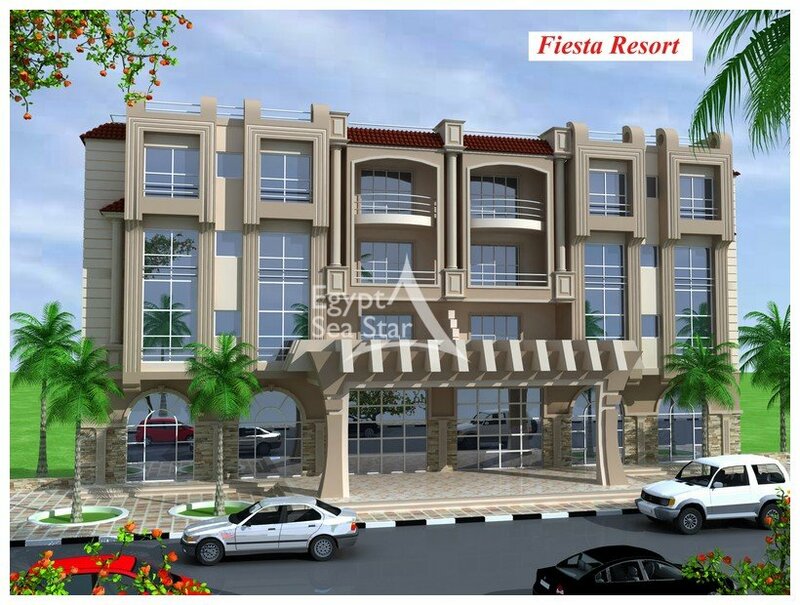 •The protected area, the entrance to the complex only after the reception. •Excellent Lagoon for children - complete safety and your peace of mind! •A beautiful coral reef for adults, diving! •The natural ebb and flow - delivering crystal clear water! •Parking, providing space for apartment owners! 9 $ per m2 in year. 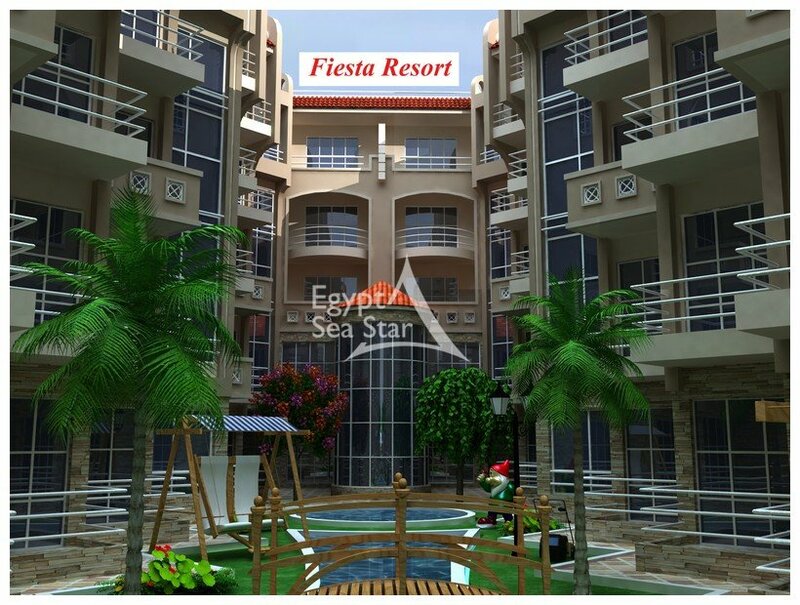 Construction of residential complex Fiesta Resort is engaged in one of the best and well-known construction companies in Hurghada. 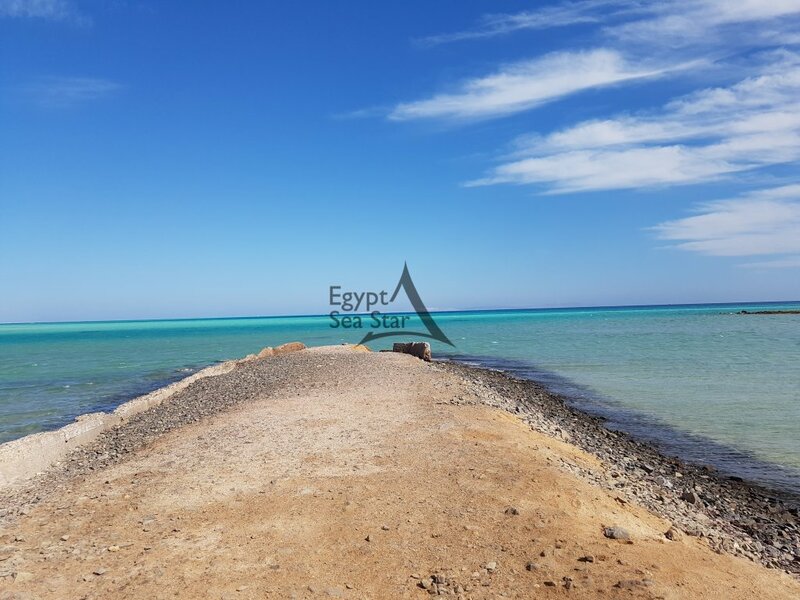 Many years of excellent work and implemented projects including: Magawish Paradise-1, Magawish Paradise -2, Siberian Tower - 1, Siberian Tower- 2, Siberian Tower -3, El Aheya Paradise, Arabiya Paradise and many others.